Andrew has over 25 years’ experience in exploration and operations in the resources industry. Following exploration geoscientist roles in Australia, Canada, USA and Mexico with Rio Tinto Exploration (CRA and Kennecott), Andrew spent 10 years in mine development and mine operations with Rio Tinto in Australia, China, Canada and the United Kingdom. Andrew was the site lead for an underground feasibility study and exploratory decline development at Rio Tinto’s Argyle mine in Western Australia. In London, Andrew led Rio Tinto’s Diamond Product Group’s strategy and business development function. 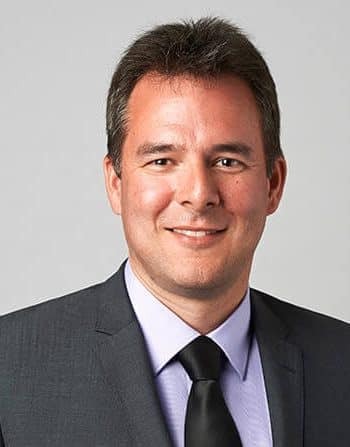 From 2007, Andrew was General Manager Operations of the Clermont Region Operations, including the Blair Athol Mine and Clermont Mine, based in Clermont, Queensland. Andrew spent two years in Beijing establishing and managing CRTX, a Chinalco and Rio Tinto joint venture copper development company based in mainland China. Andrew was Chief Operating Officer of Rio Tinto Iron and Titanium in 2013, responsible for the leadership of more than 5,000 employees across four operating sites based out of Montreal. Andrew is particularly passionate about leading and developing people, creating safe workplaces and driving continuous improvement. He was appointed to Managing Director and CEO of OZ Minerals in 2014. Andrew is a Councilor of SACOME (South Australian Chamber of Mines and Energy).